Hundreds of young protesters rallied in front of the Dáil yesterday to call on the Irish Government to immediately address the growing threat of climate change. The Children’s Rally for Climate Action organised by Climate Case Ireland (CCI) comes just days before a high profile climate case against the Irish Government in the High Court. The hearing for the case brought by Friends of the Irish Environment (FiE) is expected to last at least four days as the group challenges the State’s National Mitigation Plan. FiE argues that the Plan is not strong enough to effectively tackle Ireland’s emissions and also violates the 2015 Climate Act and the State’s human rights obligations. 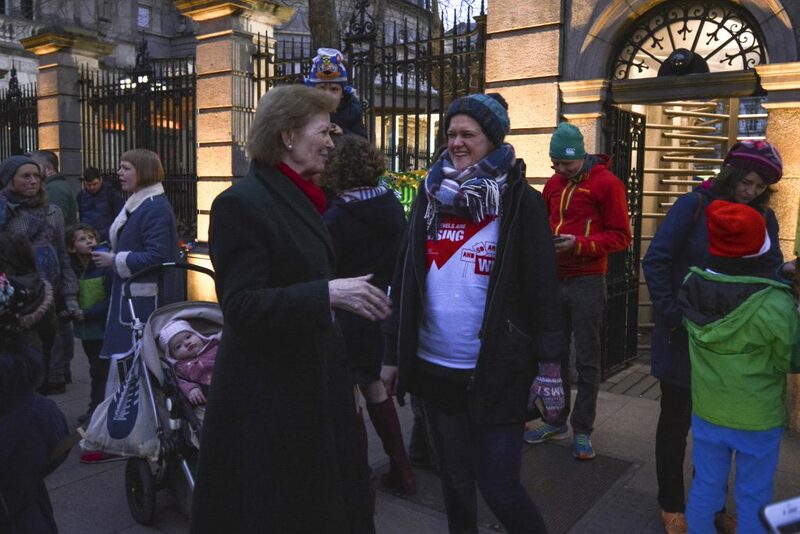 Former Irish President and climate justice activist Mary Robinson also made an appearance at the event, openly chatting with members of the crowd. 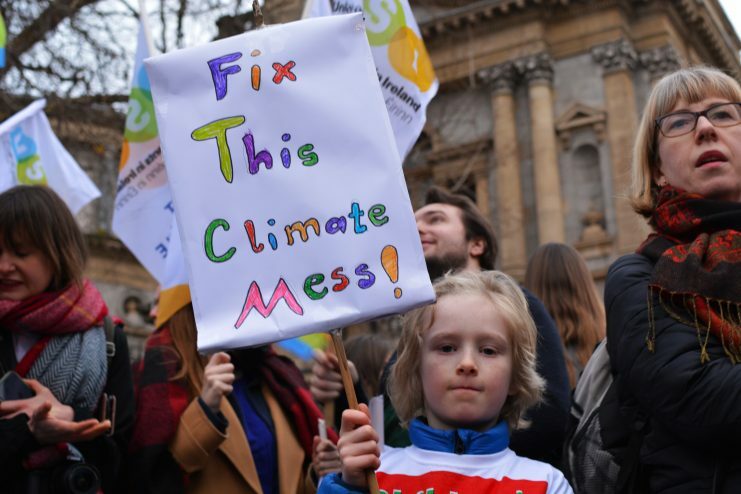 Representatives from civil society organisations such as Young Friends of the Earth and the Union of Students in Ireland addressed the gathering and urged the Government to act for younger generations now facing the threat of climate change. “When you talk to children about this, you get the sense that they see the inaction at a political level and they get extremely frustrated,” said CCI’s Sadhbh O’Neill. “There’s media coverage on plastic waste and the impact of climate change on wildlife, and children can’t understand why we can’t take the action that’s needed,” she said. Environmental journalist and commentator John Gibbons told the crowd that the current business as usual model is “not sustainable” and is also no longer accepted by younger generations. He said that both he and his teen daughter Sophie have been inspired by the “clarity of thought and uncompromising steeliness” of the young Swedish activist Greta Thunberg. “I know Sophie and others have also been inspired by this school kid who stood up (well, sat down) and demanded that the grown-ups start acting like we’re in charge and get on top of this climate crisis. Courage is, it turns out, infectious,” he added. Eleven year-old Sadhbh Byrne, who attended the rally with her mother Caroline, expressed a similar concern as there is already “a lot of responsibility to put on children’s shoulders”. “But, I also think that children should also have a say in what’s happening. After all, it is our future,” she added.